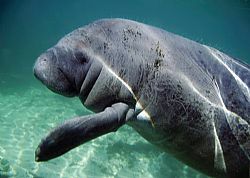 Manatee protection rules are established by Florida Fish & Wildlife Conservation Commission (FWC) to restrict the speed and operation of vessels to protect manatees from being injured. Although the manatee species’ status was changed from endangered to threatened in March of 2017, there was a record number of manatees killed in Florida by boaters in 2016, so it’s imperative to obey speed zones. Click on the following links to see the maps of the updated speed zones. Pinellas County, Hillsborough County, & links to all maps for the State of Florida.